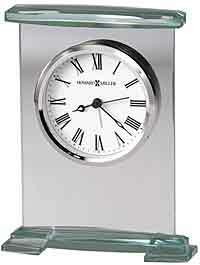 Contemporary desk clock with engravable brushed aluminum metal case with a polished silver bezel and cream dial. Contemporary Arabic numerals and hour markers protected by a glass crystal. Brushed silver 2.5" x .5" engraving plate included for personalization. Requires (1) LR43 battery, included. 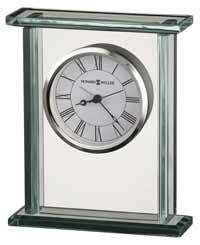 Size: H: 6.5" W: 3" D: 2.25"
Clocks for sale at The Clock Depot including the B5001-DS at discount prices.